On this final day of 2011 it is time, just like it was on the final day of 2010, to share your Best Birds of the Year. Well, actually, your Best Bird of the Year will only be shared here if you took the time to respond to the post in which we here at 10,000 Birds shared our Best Birds of the Year. A whole bunch of you responded and shared your best birds either in blog post form, email form, or in our comments. Here, without further ado, are your Best Birds of 2011, in no particular order. May 2012 bring you even better best birds and lots of them! Kirby Adams had a magical experience with his Best Bird of the Year and he blogged about it on his blog, Sharp Tern. I think the “best bird” is the one that stirs the birder’s heart the most. In that case, the choice is clear. Prairie Birder must be my long lost twin because a wood-warbler is always a great choice as Best Bird of the Year! Living on the Canadian prairies, we don’t get a lot of rarities, so I wasn’t able to see any rare birds this year. Because I am a minor I can’t drive places to see birds, the birds I see are usually not more than three miles from my house. My family also farms so that limits places we are able to go throughout the year. The bird I picked as my Best Bird of the Year 2011 is the Yellow-rumped Warbler. It isn’t a rare bird or particularly interesting to some people, but for me it was very neat to see one since I hadn’t seen one before. I blogged about seeing the Yellow-rumped Warbler here. Walter Kitundu missed the deadline to be included with the rest of the beat writers but his BBOTY must be shared! As the year closed out my BBOTY was still waiting in the wings. It made its appearance on the Serengeti Plains. Diminutive and cute but with the attitude and intensity of a bird five times its size. 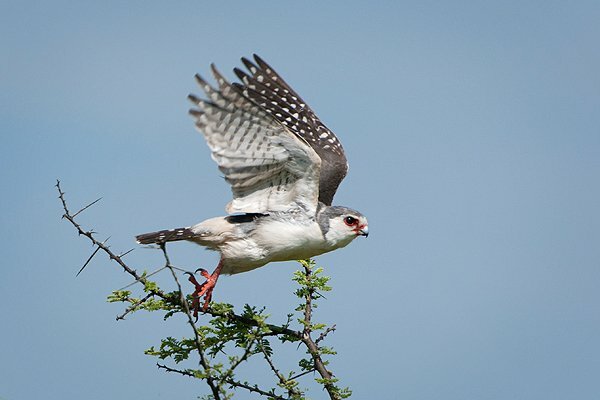 The African Pygmy Falcon finally showed itself after years of being a nemesis bird I didn’t even know I had. While I had several Life Birds during the year, and many great birding experiences, the hands-down winner for Best Bird has to be the Yellow Rail I saw on a field trip with the Cincinnati Bird Club this October. We were walking through a field of dry grass in a Hamilton County park, looking for sparrows and pursuing three Bobolinks when we flushed a Yellow Rail, literally right at our feet. While I had heard Yellow Rails in North Dakota in 2010, to see this Ohio Review Species fly, not once but twice, right in front of me was an incredible experience. This was a moment of pure birding serendipity, and I will never forget it. 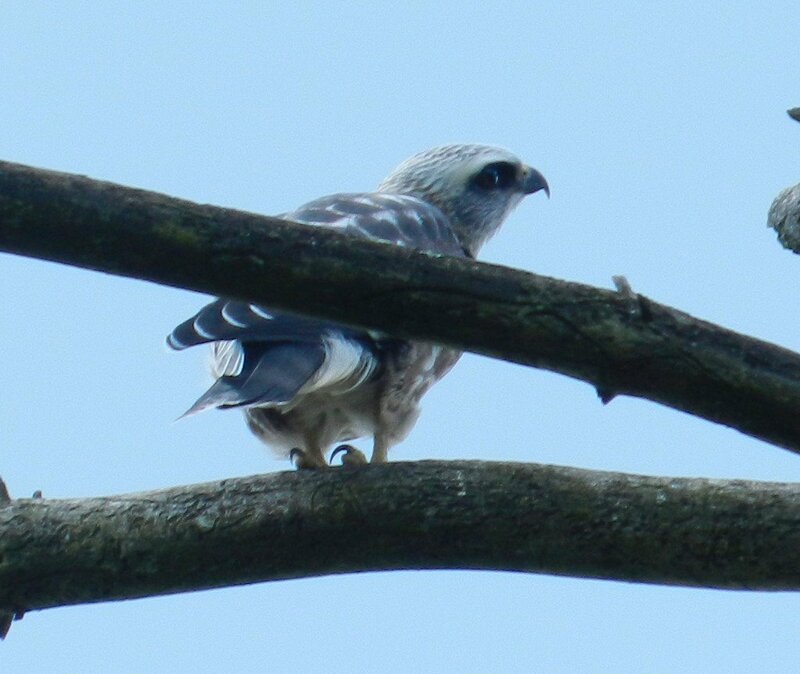 My best and thrilling bird of 2011: First confirmed nest of Mississippi Kites right here in Ohio. The nest was found in a gated community and the human residents were gracious enough to let a small number of birders in for a day to marvel at these gorgeous birds. We were treated to clockwork feedings of the single chick, who sat in a tree and called in the adults for cicada transfers every 15 minutes. I moved from the Chicago area to Florida – the state that has the most Bald Eagles in the lower 48. But in November I flew back north to Illinois to see a special pair of eagles, my best bird(s) of the year. I blogged about them here. 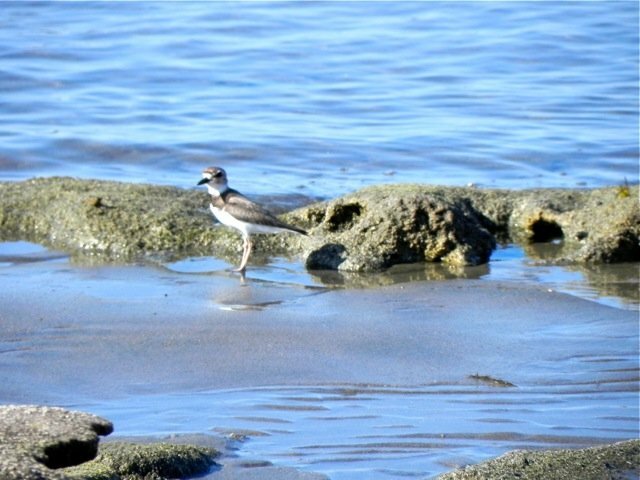 This is my best bird although I’m not sure what kind of plover it is! The photo was taken at Campo Beluga at Bahia Gonzaga, Baja in April. I think my best bird of the year has been numerous Crowned Eagle sightings, including one that swooped low overhead whilst enjoying lunch on a rare 24hr escape from the children with my wife. Not the rarest thing I’ve seen this year by any means, but a spectacular bird when withing a couple of metres! I blogged a bit about them here. Every year the Rockjumper Birding tour leaders are fortunate enough to spend months birding the world’s prime bird destinations in over 70 countries. In the process we observe thousands of bird species and obtain some superb images! To read and see a photo of our leaders’ bird highlights of 2011, please visit our blog post. 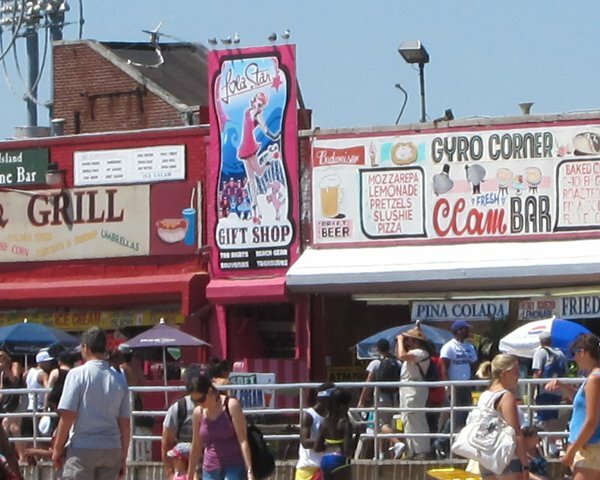 To echo Carrie’s sentiment, my best bird would be the Grey-headed Gull that just couldn’t resist the camaraderie of the masses and resulting abundance of free food that typifies Coney Island in August. Plus, the Cinderella story of how the bird was found makes it even more special: two beginning birders going to an otherwise un-birded area just to tick off some relatively common species for our area…and hey, wait a minute… what is THAT bird that is obviously different from all the other birds?? Photos were forwarded for review, a correct ID was made, and Bam! birders came from all over to make the trek out to Coney Island to see one of the most cooperative rarities to grace our area in recent times. Well, I guess I am a little late to this post but my Best Bird of the Year was the snowy owl I saw at Salisbury State Beach Reservation in Massachusetts on December 2nd of 2011. Now I’m off to find my Best Bird of 2012! I, too, am late in posting. And I, too, claim the Snowy Owl as my best bird of the year. I saw it near Omaha, Nebraska on Dec. 29th. This is a rare site. There are many in Nebraska and area this year, the most since the 1930’s, I believe. Best (in terms of rarest) would probably be the Sage Thrasher at the Magic Hedge. Co-Best (in terms of overall coolest experience) would be the Ring-billed Gull with an injured wing that my friend and I wrangled and brought to wildlife rescuers. My best bird was probably the Gray-hooded Gull at Coney Island. My best county bird was probably the Grasshopper Sparrow on my patch.